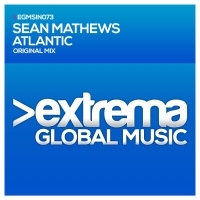 Sean Mathews returns to Extrema Global with 'Atlantic'. Sean has released several singles with us now and Atlantic ushers in a brand new year of exciting Extrema releases. Atlantic is a dark, brooding and enthusiastic production, with ominous beats and enthusiastic chords. 'Atlantic' is available now from Beatport and iTunes.